Notch 9 is a DIPA that allows hop heads to remember why beer is always that much better with more and more hops! It provides an ABV of 9.1% alongside an IBU of 100+; so out of the gate you get an idea of what you’re about to get into. Right on the nose, Notch 9 has a very welcoming citrusy aroma that follows with your first sip full of grapefruit and pine taste. The mouthfeel is very clean and light, and it doesn’t punch your palate too hard. The finish of Notch 9 is what we think is most desired! The crisp and dry end on this beer leaves you desiring another swig, as a pleasant taste of hops sits on the palate. It was no surprise when Notch 9 won Bronze at the GABF (Great American Beer Festival) for Imperial Pale Ale and Silver at VA Craft Brewers Festival for Strong Ale, back in 2013. Smartmouth has always had intriguing names for their beers that either provide a story of the brewery, or a homage to railroading. Notch 9 got its name from the locomotive’s throttle, which only has 8 notches. So it’s pretty clear what was intended by the name Notch 9, a full throttled, supercharged, full steam ahead Double IPA! 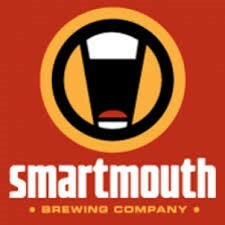 Smartmouth opened their doors in Norfolk, in 2012 and has focused on making delicious, clean beers for local consumers. Quality of beer is a foundation block of their business, and has helped to provide a demand for consistency in beer. They are looked at as one of the originals in the area for good reason, and continue to keep the beer train rolling in the 757! Make sure to swing by either Tapped location and grab a Notch 9 to celebrate our month of DIPA’s.